Luxembourg was declared "Judenfrei" ("cleansed of Jews") except for those in hiding on 19 October 1941. Of the original Jewish population of Luxembourg, only 36 are known to have survived the war. ^ a b c d e f "Luxembourg". United States Holocaust Memorial Museum. Retrieved 11 May 2013. ^ a b "The Destruction of the Jews of Luxembourg". Holocaust Education and Archive Research Team. Retrieved 11 May 2013. ^ "Commémoration de la Shoah au Luxembourg". Government.lu. 3 July 2005. Archived from the original on 9 May 2012. Retrieved 11 May 2013. Hoffmann, Serge (1996). 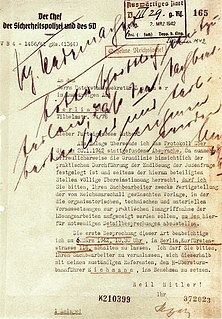 "Luxemburg - Asyl und Gastfreundschaft in einem kleinen Land". In Benz, Wolfgang; Wetzel, Juliane (eds.). Solidarität und Hilfe für Juden während der NS-Zeit. Regionalstudien I: Polen, Rumänien, Griechenland, Luxemburg, Norwegen, Schweiz. Berlin: Metropol-Verl. pp. 187–204. ISBN 9783926893437. 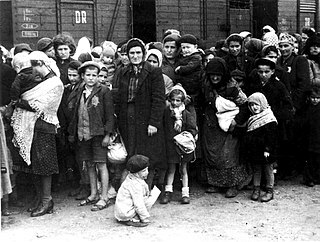 The Białystok Ghetto was a World War II Jewish ghetto set up by Nazi Germany between July 26 and early August 1941 in the newly formed Bezirk Bialystok district within Nazi occupied Poland. About 50,000 Jews from the vicinity of Białystok and the surrounding region were confined into a small area of the city, which was turned into the Bezirk's capital. The ghetto was split in two by the Biała River running through it (see map). Most inmates were put to work in the forced-labor enterprises for the German war effort, primarily in large textile, shoe and chemical companies operating inside and outside its boundaries. 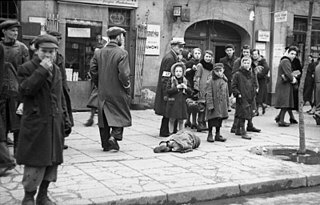 The ghetto was liquidated in November 1943. 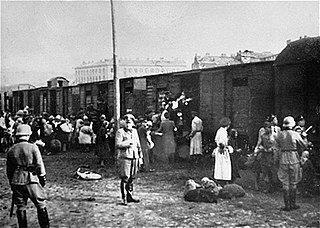 Its inhabitants were transported in Holocaust trains to the Majdanek concentration camp and Treblinka extermination camps. 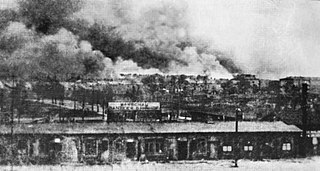 Only a few hundred survived the war, either by hiding in the Polish sector of the city, escape following the Bialystok Ghetto Uprising, or by surviving the camps. 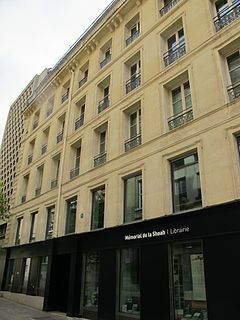 Mémorial de la Shoah is the Holocaust museum in Paris, France. The memorial is in the district of Le Marais, in the third and fourth arrondissement, which had a large Jewish population at the beginning of World War II.